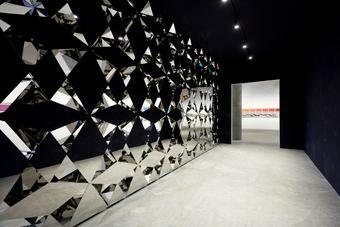 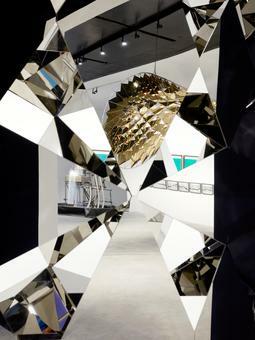 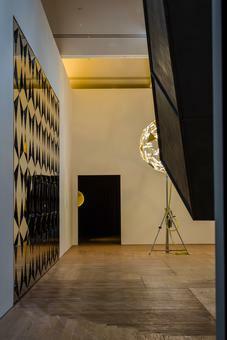 The viewer encounters a wall of diamond-shaped mirrors that alternate with triangular openings. 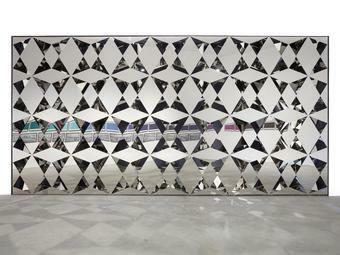 Within these openings, a space of infinitely proliferating reflections unfolds. 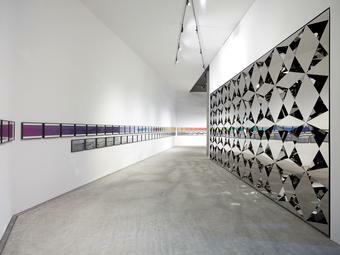 The mirrored surfaces that define the interior of the wall create complex arrangements of nested triangular reflections, amid which the viewer catches fragmentary glimpses of herself and her surroundings, and of whoever may be looking into the wall through the openings on the other side. 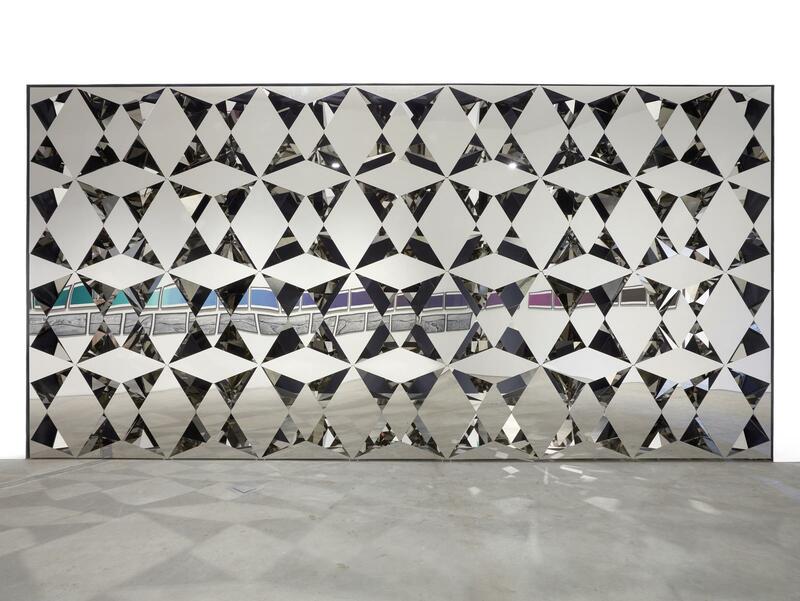 The wall is composed of stackable modules in the form of hexagonal bipyramids whose faces alternate between openings and panels of stainless steel that have been polished to a mirror finish on the sides that face the interior. 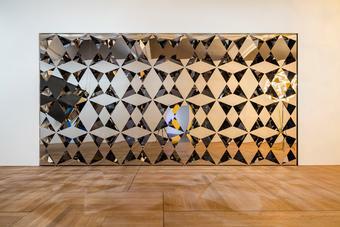 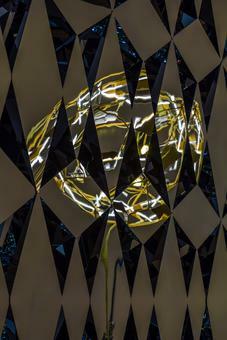 On the exterior of the structure, covering the gaps between the modules, diamond-shaped panels, likewise made from stainless steel polished to a highly reflective mirror finish, conjure a repeating pattern that blurs the distinctions between inside and outside, what is in front and what is behind, viewer and object.